MN portrait photographer - newborn, family and child portrait studio. Serving the Twin cities east metro. View My latest work on The Blog. Kari Layland is a highly experienced professional portrait photographer in the Twin Cities east metro area of Saint Paul, MN and surrounding suburbs, namely Woodbury, Cottage Grove, Hastings, Inver Grove Heights, Stillwater and Newport Minnesota. 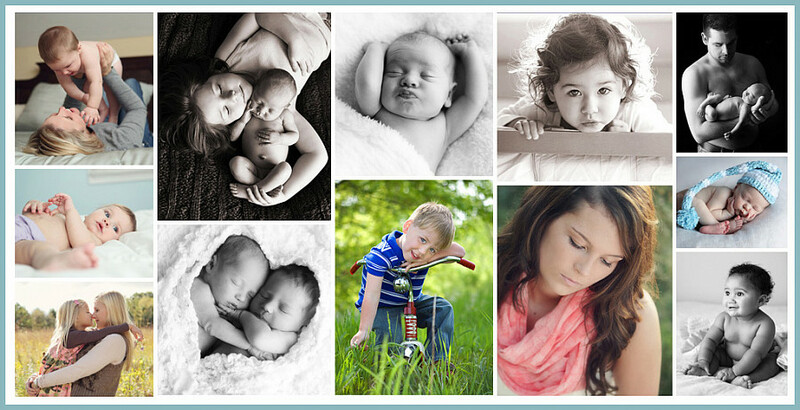 With a studio in Cottage Grove, Kari specializes in outdoor, studio and in home photography of babies, children, and family. Kari is award winning for best infant, child, senior and family photographer. Serving the greater Minneapolis and St Paul areas including all of Minnesota and western Wisconsin. Experience timeless portraits in the comfort of your home, in our conveniently located St Paul studio or a beautiful outdoor location. Kari has over 20 years of professional photography experience and specializes in creating timeless pregnancy, newborn, infant, baby, child, family, and high school senior portraits. Through a strong effort, skills, the ability to relate with her subjects and her dedication to fine portraiture, Kari Layland has become one of the most popular Twin Cities portrait photographers. Kari is best known for her work as a pregnancy, newborn and baby photographer. Her newborn portraits are in high demand, often scheduling weeks and sometimes even months in advance. If you are pregnant or have a new born baby, call or email early to ensure you get an appointment while your newborn child is tiny - 3-10 days is most ideal. Baby's first year, maternity/newborn photography packages, and grow up plans for toddlers and children are available! Watch your baby grow throughout his/her first year of life with timeless, natural, candid infant and toddler portraits that show off your baby the way you see him or her. Kari Layland works in studio and on location and will travel up to 40 miles of Cottage Grove, MN. Mileage may apply to areas outside the Twin Cities metro area. Sessions may also be held in Kari's unique portrait studio in Cottage Grove, MN. Kari travels to many cities in the metro including but not limited to Afton, Andover, Anoka, Apple Valley, Arden Hills, Blaine, Bloomington, Brooklyn Center, Brooklyn Park, Burnsville, Cambridge, Carver, Centerville, Chanhassen, Chaska, Columbia Heights, Crystal, Eagan, East Bethel, Eden Prairie, Edina, Excelsior, Farmington, Forest Lake, Fridley, Golden Valley, Hastings, Hopkins, Hugo, Inver Grove Heights, Jordan, Lake Elmo, Lake St. Croix Beach, Lakeville, Little Canada, Long Lake, Mahtomedi, Maple Grove, Maplewood, Mendota Heights, Minneapolis, Minnetonka, Monticello, Mound, New Brighton, New Hope, Newport, North Oaks, North St. Paul, Oak Grove, Oak Park Heights, Oakdale, Otsego, Plymouth, Prior Lake, Ramsey, Richfield, Rogers, Rosemount, Roseville, Saint Anthony, Saint Croix, Saint Paul, Saint Paul Park, Savage, Shakopee, Shoreview, Shorewood, South St. Paul, Spring Lake, Spring Lake Park, Spring Park, St. Louis Park, St. Paul, St. Paul Park, Stillwater, University of Minnesota, Uptown, Vadnais Heights, Wayzata, West St. Paul, White Bear Lake, and Woodbury. Tamara Cairns - Minneapolis, MN "I can not recommend Kari highly enough. Not only are our portraits the most lovely and meaningful ones I've ever had taken, but the photo session itself was truly a special experience. Kari has such a special knack for working with children, and she captured our babies' personalities perfectly. We never could have taken these types of pictures ourselves. Our portraits will truly be family heirlooms. I still look at our photos almost every day. I can't imagine if we had not had Kari capture these most precious moments of our lives. I'm so grateful for her talent and patience." For more client references, see my Testimonials Page. Tiny Sparrow Foundation - providing terminally ill children with a complimentary photo shoot and digital images. St Paul MN family portrait photographer - Serving Cottage Grove, Woodbury and surrounding suburbs.